Eugene, Oregon is TrackTown USA. 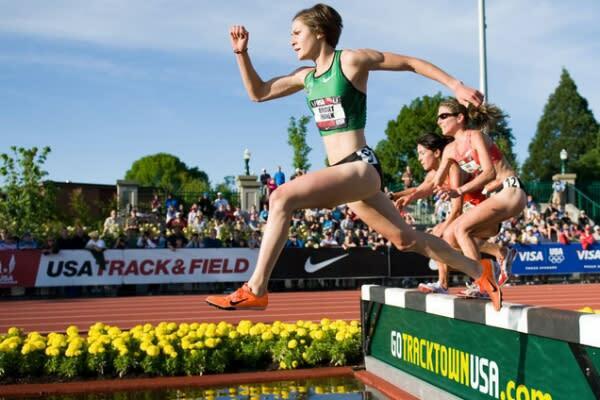 One of the most famous track and field destinations in the world is Hayward Field on the University of Oregon campus. This site is hallowed ground for track and field athletes and fans. Since 1921, Hayward Field has hosted numerous championships and world-class track and field events. It was also here that Nike took wings, when former Olympian and University of Oregon Track Coach Bill Bowerman and, then, middle-distance runner Phil Knight forged a partnership that ignited the beginnings of what would become the largest sports and fitness company in the world. Track legend Steve Prefontaine ran for the University of Oregon track team, amazing crowds by winning every American running record between 2,000 and 10,000 meters in 1975. Since then, many other amazing track and field athletes have followed, becoming local heroes, and many, even Olympians. 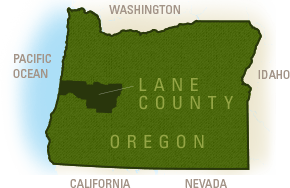 Eugene continues to rack-up the running accolades, and since 2012, has been the seat for the Eugene, Cascades & Coast Sports Commission which supports athletic events of all types and scale across Lane County. With its delightful chip trails interwoven across the city, Eugene is truly a runner&apos;s delight. "Official RRCA Runner Friendly Community"
"Top 10 Fittest Cities in America"
"Eugene Marathon - Best New Marathon"
"Ten Best Running Cities in the U.S."
"Eugene Marathon Top Ten Greenest Races"
"The Best Track to Watch a Meet"
"The Best 20 Places in the Country to be a College Sports Fan"